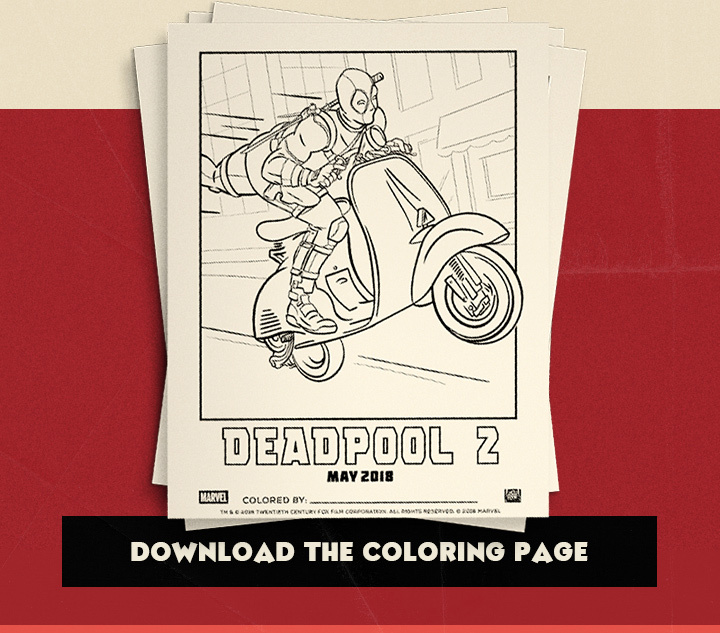 Promoting for Deadpool 2, the merc with a mouth send out his best wishes for a Happy Easter and a Happy National Crayon Day. A new promo poster for the upcoming sequel was released along with a coloring page to celebrate National Crayon Day. The sequel was written by Rhett Reese and Paul Wernick, directed by David Leitch, and stars Ryan Reynolds as Deadpool, Josh Brolin as Cable, Zazie Beetz as Domino, Jack Kesy (The Strain, Baywatch), Shioli Kutsuna, Julian Dennison (Hunt for the Wilderpeople), Leslie Uggams, Morena Baccarin, Brianna Hildebrand, T.J. Miller, and Stefan Kapicic. It is scheduled to be released on June 1, 2018. 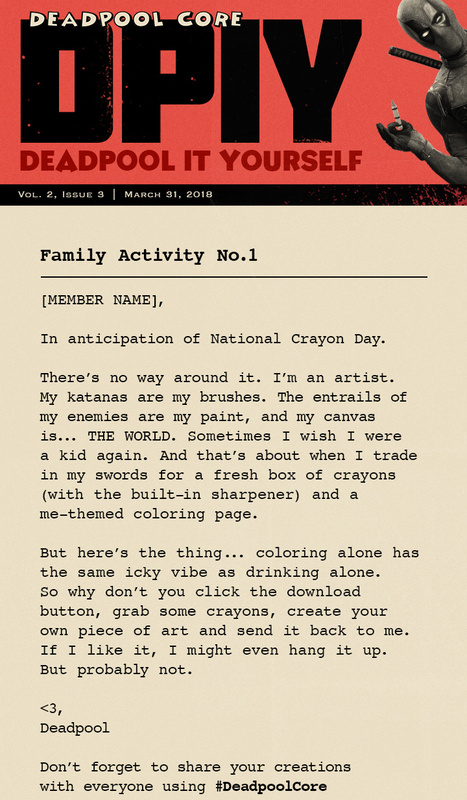 Check out the synopsis for NCD that was sent out by Deadpool himself.